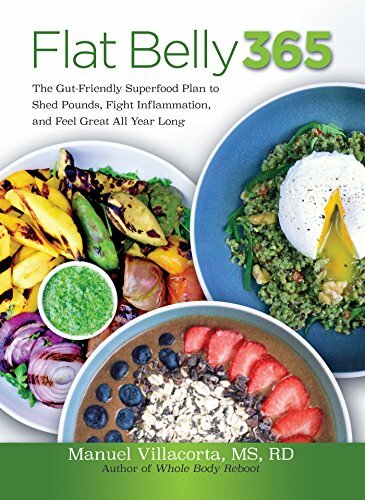 Full color recipes like Fig Jicama Salad, Beef Bone Soup, Chocolate Smoothie Bowl and California Avocado Gazpacho will have your mouth watering as the weight comes off. All plans are adapted for all eating styles including vegetarian and vegan. Flat Belly 365 provides an initial “reboot,” a 7-day kickstart plan to rev your body into optimal fat-burning. Villacorta’s clients report up to six pounds of weight loss, an average of 1.5 inches gone from their waistlines, better sleep and renewed energy levels after the first week. His publicist reported a loss of 20 pounds in thirty days on his last program. Tantalizing recipes like Cauliflower Walnut Soup, Pumpkin Pie Smoothies, Moroccan Lamb Stew, Cannellini Chicken Sausage Bowl and Citrus Raspberry Chia Seed Pudding are available for reprint upon request. In addition, I would be happy to provide a sample 7-Day menu program from any of the four seasons, which initially allows for 1300 calories and graduates to a maintenace plan of 1800 calories per day. Manuel Villacorta, MS, RD, is an internationally recognized, award-winning registered dietitian-nutritionist with more than 18 years of experience. He is the author of three books, Eating Free, Peruvian Power Foods and Whole Body Reboot: The Peruvian Superfoods Diet. Villacorta is a trusted voice in the health and wellness industry ― a national media spokesperson, a health blog contributor for The Huffington Post and an on-air contributor for Univision. Manuel is the owner of MV Nutrition, a San Francisco-based private practice, and the recipient of five “Best Bay Area Nutritionist” awards from the San Francisco Chronicle, ABC7 News and Citysearch. Read more on: www.flatbelly365.com. Phoenix, AZ ― Let’s face it: the dating game isn’t fun for women who always lose. Alexander Atlas — a man who was used to winning — knows how the dating game works. He played it himself for years before settling down, and watched woman after woman fall for the same tricks. In his new, brazenly honest dating guide, The Boys You Don’t Take Home: Game Secrets, Atlas takes women inside the male mind and shares his past, one-sided relationship perspective. Using colorful, lesson-packed anecdotes, he introduces readers to the “mama’s boy,” the “bad boy,” the “player” and the “scrub” and shares his tips for spotting their deceitful tricks and traps. Readers may recognize some of their own dating mistakes and disasters between the covers of The Boys You Don’t Take Home, and that’s the point! Atlas wants to help women everywhere make better relationship choices. Alexander Atlas writes both fiction and nonfiction. In addition to The Boys You Don’t Take Home: Game Secrets, Atlas is also the author of the companion piece, The Girls You Don’t Take Home to Mama (published in 2016). He is also working on two novels: Napoleon’s Way and From Prey 2 Predator as well as his third self-help installment, The Girls You Don’t Take Home: Pandemonium and Chaos. A father of two daughters as well as a motivational fitness trainer, Alexander Atlas incorporates self-improvement into all facets of his life. For more information about Alexander Atlas and his upcoming books, please visit https://theboysyoudont.com/. Women And Heart Disease: Expert Advice To Protect Against The #1 Killer Of Women In The U.S. 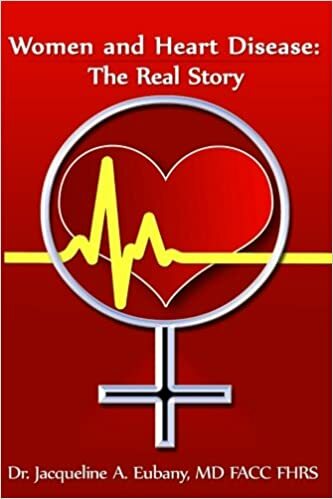 I would like to send a copy of Women and Heart Disease: The Real Story by Board-certified cardiologist and electrophysiologist, Dr. Jacqueline Eubany, in consideration of an interview or review from you. Today’s woman is often the breadwinner and/or a single parent, which puts added stress on women who already tend to take care of everyone but themselves. In Dr. Eubany’s new book she provides specific advice on the “silent” symptoms of heart disease – offering expert tips on what women can do to keep their heart healthy and reduce their risk of becoming a statistic of the number one killer of women in the U.S.
Named a Physician of Excellence for 2017 by the Orange County Medical Association, Dr. Eubany makes a great guest. Please read the following release and let me know if I may schedule an interview with her, or forward a review copy of the book. If you’d like to run this story, we’ll be happy to send you a .jpg of the author and book cover. Please see Dr. Eubany in a recent segment for KTLA Channel 5 in Los Angeles at: https://www.google.com/amp/ktla.com/2016/11/04/women-and-heart-disease-with-cardiologist-dr-jacqueline-eubany/amp/?client=safari. Thank you for your time. Angie is a 46-year-old divorced mother of two school-aged children. One morning she was just not feeling her usual self….Undaunted, the busy mother went about her usual morning routine…. Angie’s coworkers noticed that she looked unusually pale and advised her to go to the doctor’s office. Hard-working Angie declined….As the sole financial provider for her family, the young woman felt she could not afford to take time off. There were too many outstanding bills and her children needed her. Angie hoped she would soon start to feel better. Tragically, she did not. Days later she made it to the emergency room, but her heart was permanently damaged. Through anecdotes and friendly, jargon-free advice, Dr. Jackie tells readers how to reduce their risk by up to 80%, how to recognize a heart attack earlier, and how to make the healthiest choices for your heart and your loved ones. Heart disease remains the number one killer of women in the United States, killing more women than breast and lung cancer combined. Dr Jacqueline Eubany is a board-certified cardiologist and electrophysiologist, currently practicing in Orange County, California. She attended the University of California Riverside for her undergraduate studies, followed by Boston University School of Medicine. She joined the United States Navy to complete her medical training, and served for twelve years. She was inducted as a fellow in the prestigious American College of Cardiology, and in the Heart Rhythm Society. An active member in other distinguished societies, Dr. Eubany also serves on several advisory boards related to heart disease. She is a popular guest speaker for heart health events because of her accessible, articulate style. Huge change is on the way. No matter who wins the national election in November, we are all going to experience great change over the next two years. How many times has change disrupted your life, left you feeling off-kilter, caused you to miss opportunities or react without thinking? 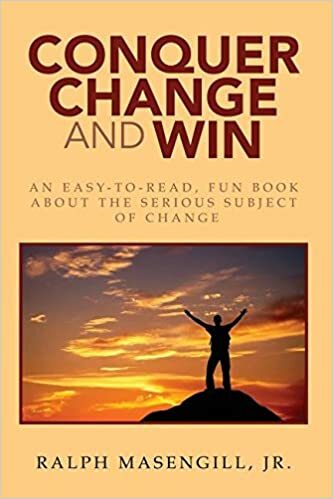 I’d like to send you a complimentary copy of an exciting new book, Conquer Change and Win, for consideration of a review, feature or interview. Best-selling author Ralph Masengill is an engaging and inspirational guest; please read the press release below and send me your postal address so I can send you a copy of his book, or contact me if you’d like to schedule an interview. In the event you might want to run this story, let us know and we’ll be happy to send you a jpg of the author and book cover for your use. Love and science: where do they intersect? Please allow me to send you a copy of Men Chase Women Choose: The Neuroscience of Meeting, Dating, Losing Your Mind and Finding True Love, in consideration of a feature, interview or review from you. Author Dawn Maslar, MS was voted one of the Top 20 Most Followed Dating Experts on Twitter; her scientific approach to an age-old question captivates audiences, especially her live, interactive research right on stage. Please read the press release below and let me know if you’re interested in scheduling an interview; send me your mailing address and I will forward a review copy of her book. If you’d like to run this story, I’d be happy to send you .jpgs of the author and the book cover. Thank you. Davie, FL ― A question that seems as old as time comes closer to a definitive answer than ever before ― What is love? 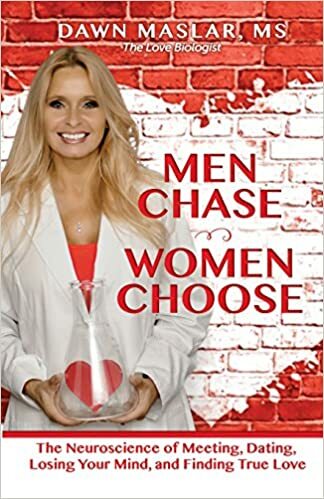 In Men Chase, Women Choose, Dawn Maslar, MS, provides engaging insights into one of life’s most elusive and misunderstood topics by offering science-based research to help anyone discover and sustain love. Maslar’s relatable and easy-to-read book uses the most relevant neurological, physiological, and biochemical studies on the science of love, while incorporating stories and examples based on participants of her popular classes and seminars. • Does love at first sight really exist? • Who should make the first move? • What happens to your brain when you fall in love? 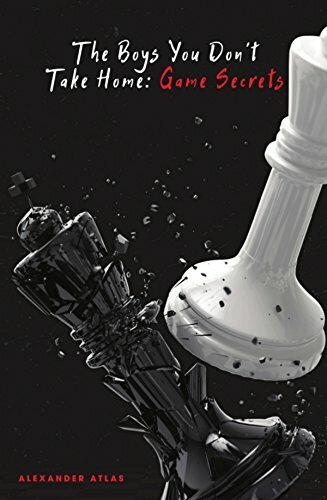 • Why won’t he commit? • Why does love make us crazy? • What can you do to have love that lasts a lifetime? 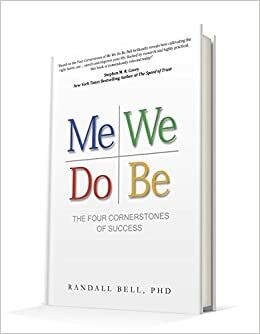 “Whether in between relationships or currently in one, readers will find valuable insight on how men and women interact with each other and what dynamics long-term relationships need to work. Maslar mixes scientific concepts, often with humor, making it a light and enjoyable read. – Theresa Braun, author of Groom and Doom: A Greek Love Story and dating blogger.